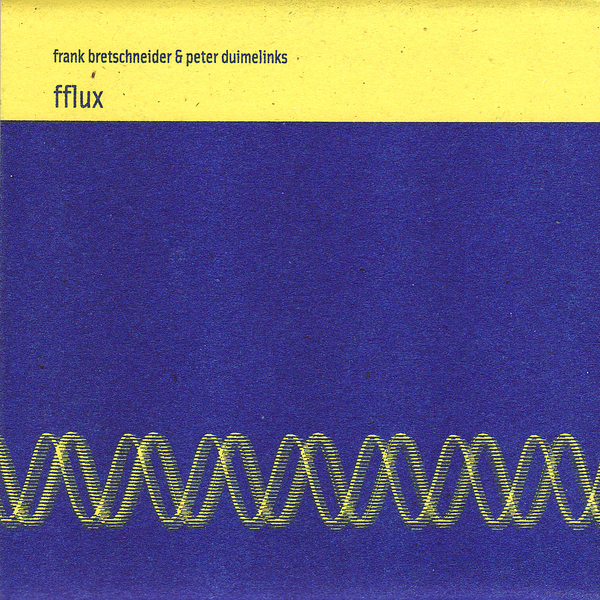 Anyone familiar with the music of Frank Bretschneider or Peter Duimelinks will know that these two are experts in the field of glitch-spinning propulsive minimalism. Bretschneider has made his mark via some genre-defining releases on Raster Noton, both under his own name and as Komet, while Duimelinks is probably best known as a member of Goem. Throughout this very fine album, the two artists set about sculpting truly beautiful micro-rhythms, shifting around in conjunction with streams of high frequency digital hiss. The levels of detail and texture are extraordinarily satisfying despite being so sparsely pieced together, and if you're fond of either arist's back-catalogue you're sure to enjoy this glitch masterclass.